Joyce Chung has over 10 years of operating experience in technology companies and 15 years of venture capital investing experience. She was a founding partner of Cardinal Venture Capital, a $125 million early stage venture fund. At Cardinal, Joyce was responsible for investments in Chipcon (acquired by Texas Instruments), Mobilygen, Valista, and Zilliant. She continues to co-manage the current Cardinal portfolio. Prior to forming Cardinal Venture Capital, Joyce managed venture investments for Adobe Ventures. Her portfolio companies included Vignette (Nasdaq: VIGN), DigitalThink, Digimarc (Nasdaq: DMRC), and Virage. Joyce also held operating roles at Adobe Systems, Sony Corporation, and Cambridge Technology Group. She received an S.B. in Chemical Engineering from the Massachusetts Institute of Technology and an M.B.A. from Stanford University Graduate School of Business. Joyce is a member of the Business School Fund Council, is active at the Stanford Center for Entrepreneurial Studies and is on the board of the Association of MIT Alumnae (AMITA), Chair of the Northern California chapter of AMITA and Member of the Executive Council of Astia. Kaushal advises teams on product, software engineering, mobile applications and full stack software architecture. He works with various Silicon Valley accelerator programs and early stage companies. 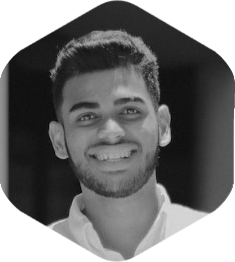 Kaushal is a startup veteran and has led the engineering and product efforts at companies backed by A16Z, GV, NEA, General Catalyst, etc. His experience is in health, nutrition, travel, games, education and IOT among other sectors. Kaushal has architected end to end software solutions in various industries and built projects that have generated millions of dollars in revenue. His skills lie in taking ideas, building a product roadmap, engineering execution and launch to market. Most recently Kaushal was VP Engineering at Orange Chef (acquired by Yummly). He’s also held senior engineering positions at Room 77 and Funzio (acquired by GREE). He qualified India’s prestigious IIT entrance exam (<1% acceptance rate) and has a Masters degree in Computer Science from Georgia Tech. Kevin guides our companies with Design, IT, and Software expertise. Kevin Hughes was one of the pioneers of the World Wide Web in the United States, while a student at Honolulu Community College, in Hawaii. He created one of the first campus web sites, including novel (at the time) ideas such as a virtual tour of a campus museum. Hughes later developed seminal technologies for numerous commerce web sites. He also designed the original public domain icons that come with the Apache HTTP Server. He is one of only six inductees in the World Wide Web Hall of Fame announced at the first international conference on the World Wide Web in 1994. Kevin is a Product Manager on Groupon’s Getaways (Travel) team where he is the product owner for demand generation and monetization. As one of the early Getaways product managers team Kevin has previously been the product lead on projects across Groupon’s Travel technology stack giving him depth of knowledge to the key technological touch points across the customer experience, merchant experience, and the data back end that supports it. Prior to Groupon Kevin led monetization efforts at Bing Travel and Bing Shopping and was lead customer experience product manager for Amazon’s Product Ads program during its startup phase. Kiley guides our companies with product management expertise. Kirvan Pierson has held consulting and management positions for twenty-five years, first in systems engineering, then in product development, product management and industry-vertical B2B sales channel management. He has operated a consulting practice in Beijing, managed product distribution in Hong Kong, and directed business development in Shanghai. Kirvan graduated from the University of Virginia with a B.Sc. in Electrical Engineering, worked in systems with a unit of British Aerospace Engineering, in software with United Parcel Service, and in business management with independent software vendor MapInfo Corporation, until starting his own software/systems consulting practice in Beijing, distributing video server systems in Hong Kong, and then joining TomTom in Shanghai as business development director. Kirvan is willing and able to help teams and founders in many aspects of business development, and is truly a valuable person to learn from. Larry guides our companies with Financing, Accounting, and Audit expertise. Mr. Lawrence D. Rodriguez, also known as Larry, served as the Chief Financial Officer and Executive Vice President of Central Pacific Bank since August 23, 2010 and was a Consultant to CPB. Mr. Rodriguez has over 40 years of experience in the financial services industry. He served as Managing Partner of Ernst & Young, LLP’s Hawaii office. He served as the Chief Financial Officer, Principal Accounting Officer and Executive Vice President of Central Pacific Financial Corp. from August 23, 2010 to October 1, 2011. He started his financial career in 1967 with Arthur Young & Company, became Partner in 1978, and transferred to Hawaii in 1981. Following the merger with Ernst & Whinney in 1989 to form Ernst & Young, LLP, he was responsible for all aspects of its Hawaii operations and retired in 2007 as Hawaii Managing Partner. He has been a Director of Tissue Genesis, Inc. since February 2012. He is active in community organizations and has received recognition awards from Hawaii Society of Certified Public Accountants, American Institute of Certified Public Accountants, Easter Seals, American Red Cross, National Kidney Foundation, Goodwill Industries, Hawaiian Humane Society and Pacific Business News. Leighton guides our companies with Legal expertise. Mr. Chong has continued to practice in IP and patent law with Hawaii technology and innovation companies. Mr. Chong is past Chair and ongoing Board member of the Intellectual Property & Technology Law Section of the Hawaii State Bar Association, a past Program Co-Chair of the Intellectual Property Law Section of the American Bar Association, and founder and co-director of the Hawaii Intellectual Property Management Course offered at Kapiolani Community College, Continuing Education Division. 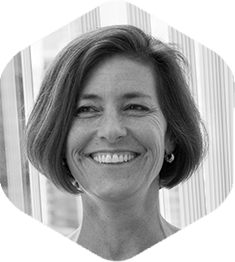 Lisa is involved throughout all stages of product development, and ensures oversight and responsibility for strategy, design, research and testing – always mentoring and evangelizing and sharing her passion for the user! Senior executive with 20 years experience in business, communications and marketing. Before launching IQ PR, Lori was co-principal of VPG LLP, vice president of Product Development with Visa U.S.A. and chief of staff to Visa’s COO. She also held director-level positions in Visa’s corporate communications group, where she oversaw product and technology communications, and supported the CEO of Visa in media relations. During this period, she provided litigation communications strategy for a variety of high-profile cases involving Visa U.S.A, including a U.S. Supreme Court case alleging anticompetitive practices. Prior to Visa, she worked in Silicon Valley at Cunningham Communications on the Novell and Hewlett-Packard accounts. She was also previously the Director of Communications for Quaker State Corporation. Lori received an M.B.A .from the University of San Francisco, and a B.S. in Mass Communications and a B.S. in Political Science from the University of Utah. Mark guides our companies with patent expertise. Patent agent specializing in U.S. and foreign patent prosecution. Superior technical, interviewing, writing, and negotiating skills developed during more than two decades working in computational and theoretical physics, science writing, and patent preparation and prosecution. My experience in these diverse fields enables me to provide exceptional client service and operate effectively as a “border person” facilitating communication between inventors, in-house counsel, and patent offices around the world. Martin guides our companies with Sales, Risk Management, and Technology expertise. Kamakura is a global leader in risk advisory specializing in enterprise wide risk management and modern credit risk technology. Mr. Zorn is a twenty-one year veteran of Wachovia Bank. Mr. Zorn’s early years with Wachovia were spent in the systems and marketing departments before transitioning to corporate banking and corporate finance. His corporate banking experience included large national accounts, regional banking, asset based lending and commercial real estate. He finished his career with Wachovia as the regional executive for Northern Virginia. Mr. Zorn has been involved in financial advisory engagements including structuring and arranging growth capital, financing mergers and acquisitions and hedging interest rate risk. He created an emerging growth and technology practice while he was in the Research Triangle. His clients have ranged from global leaders such as Exxon, Shell, American Airlines and USAA to early stage technology start-ups. Marvin guides our companies with IT, Marketing, E-commerce, Business Development, and Strategy expertise. Marvin is a Partner at Micro Venture Capital Fund 500 Startups, running the SF based accelerator program as well as investing in Seed stage start ups. He Invests in Digital Media, Enterprise SAAS, Marketplace, Mobile, AdTech/MarketingTech, Internet of Things & Fintech startups.Formerly an experienced client-facing senior executive in the media and technology space in both large and start up growth companies, having managing large multifunctional teams across multiple countries. He has P&L management experience and most recently responsible for 100% YoY revenue growth while running a business unit and building new sales channels in EMEA & the Emerging Markets regions for the last ~4 years at Yahoo!. A 10.5 year veteran of Yahoo! Inc., Marvin has held roles in the various departments of Sales, Business Development, Ad Operations and Marketing. Most of his roles were regional or global management roles giving him extensive experience across Asia, Europe, Latin America and the United States in his career at the company. Marvin presently serves on the boards/advisory boards of several internet advertising and ad technology companies across the globe. Marvin is a frequent speaker at many Digital Marketing & Startup Conferences. Mathew Rowley guides our companies with Network Security expertise. Mathew Rowley is a security consultant for Matasano Security with over 6 years experience as a computer security professional. His experience includes reverse engineering, mobile security, web application security assessment, network security, fuzzing, and application development. Matt Galligan guides our companies with User Experience expertise. Matt Galligan an entrepreneur living in San Francisco and is the CEO and Co-Founder at Circa. He helped co-found the company alongside Ben Huh in 2011. Circa is creating an entirely re-imagined kind of news experience. The company is currently in stealth. Prior to founding Circa, Matt founded two other companies. In 2007, he co-founded and was the CEO of Socialthing, a service that made it easy to keep up with friends’ activity from multiple social networks. Socialthing was acquired by AOL in 2008. After his time at AOL, Matt went on to found SimpleGeo in 2009 with Joe Stump, which provided a geolocation infrastructure-as-a-service for developers to easily add location-aware elements to consumer and business applications — a process that they learned is extremely difficult when they began as a location-based gaming company several years ago. SimpleGeo was acquired by Urban Airship in November 2011. In addition to founding three technology startups, Matt helped found 1% of Nothing with Shervin Pishevar with the goal of better connecting the early-stage entrepreneurial worlds with philanthropy. In 2010, he was named as one of Business Insider’s Silicon Valley 100, a list of the top entrepreneurs in the epicenter of technology. Matt is regularly quoted in the press as an expert on mobile, social and local, and has spoken at numerous industry conferences including Web 2.0 Summit, Web 2.0 Expo, Where 2.0 Conference, SXSW Interactive, Federated Media’s Conversational Marketing Summit and Signal:Austin, Dealmaker Media’s Unplugged and Grow, and numerous other events. I’m an entrepreneur and technologist specializing in building and growing software companies. I’m passionate about solving complex problems with technology. I believe that its creative use can help our world become more efficient, more sustainable, and ultimately allow us to lead more rewarding and productive lives. I am the co-founder of Bitmatica, a software consultancy that offers design and engineering services across web and mobile. Bitmatica has worked with organizations ranging from $1B+ public companies to start-ups to design, develop, and scale robust web and mobile applications. Prior I founded a mobile second-factor authentication company, worked as a consultant with the author of the BASH shell, engaged in a number of research projects, as well as authored a patent and scientific paper. I’m an engineer with a full-stack web background, from databases and system administration on the back-end to HTML + CSS on the front-end with everything in between. I have experience in data analysis, multimedia visualization, systems, and more, with a degree in computer science from UCSB. Matt guides our companies with his pricing, monetization, and growth strategies. Globally recognized expert in the field of pricing strategy and sales / marketing excellence. Broad experience leading global corporate pricing transformations as well as deep experience with pricing optimization and pricing software/tools implementation. Matt has worked with over 200 companies in more than 30 countries worldwide and these engagements have generated over 3 billion dollars in incremental annual profit dollars for those client companies. Hands on experience across a broad range of industries including: banking, insurance, financial services, travel/hospitality, transportation/logistics, rail, energy, industrial manufacturing, distribution, cpg/retail, high-tech, semiconductor/electronics, software and internet. Matt has worked extensively with both start-ups and Fortune 500 companies. Matt’s previous industry experience includes three start-ups in the the software and technology space (one IPO and one acquired for $200M) and he remains active as a mentor to entrepreneurs and angel investor. Matt has been a guest speaker on various pricing topics at multiple prominent business schools, including Stanford, Duke, Berkeley, USC, UCLA, Rice and University of Texas. Matt has also been a regular keynote speaker at various industry conferences including Professional Pricing Society, FORTUNE Sales and Marketing Summit, OPI, and the American Marketing Association. Matt guides our companies with Mergers and Acquisitions, Exits, Innovation, Strategic Consulting, and Leadership expertise. Matthew Johnston is an experienced entrepreneur, businessman and executive director. He has over 20 years of start-up and commercial experience, including successful exits, with companies in both the service and manufacturing/distribution/wholesale/retail industries in Australia and the United States of America. As a highly successful and accomplished marketer, CEO/President and board member, he has worked in industry sectors including insurance and legal, financial, automotive, technology, aviation and the outdoor leisure industries. Specialising in M & A and exits, innovation, strategic consulting and leadership, Matthew is currently the Founder of ILA Global, a USA and Australia based International Business Accelerator, Owner of Suplove and investor in entrepreneurial endeavours. He holds several other board positions with Australian and USA companies and non-profit organisations. Maya Rogers is the CEO of Blue Planet Software, the sole agent for the Tetris® brand. Since 2007, she has lead the global business initiatives for Tetris, one of the leading and most distinctive video game brands and franchises in the world. Maya has 15 years of experience in the video game industry, with expertise in game development, IP licensing, and branding. Prior to Tetris, she steered cross-culturalization and development efforts at Sony Computer Entertainment and American Honda. 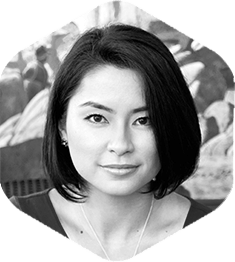 Maya is also the co-founder and partner of Blue Startups. Michael is an experienced entrepreneur, restaurateur and investment banking professional with over 25 of years of consumer retail, consumer Internet and investment banking experience beginning with Shearson Lehman Bros. in New York City. Mr. Atkinson has participated in over 100 assignments and transactions as strategic advisor and private equity investment banker working with middle market, early-stage and start up companies in Internet technology, digital media, entertainment, restaurants, food, beverage, retail and financial services. Michael is former Managing Director at Bailiwick Capital, former CFO/COO at Next Century Restaurants, CFO and SVP Corporate Development at Cheeseburger Restaurants. As a technology entrepreneur, and principal at Bailiwick Ventures, Michael has founded, invested, or advised food tech Internet start ups companies including; Sippify, FohBoh, Food Channel, Zuppler, Happytables, Orderscape and QuikFit, among others. Michael is an experienced CEO, corporate development professional and strategic thinker with excellent leadership and communication skills. 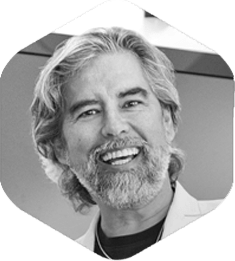 As an entrepreneur, owner, operator, developer and financier, Michael has a deep and sophisticated understanding of food and restaurant technologies and the sector that is rapidly transforming the global foodservice industry. Michael studied business and psychology at the University of Nevada-Reno, and corporate finance at SUNY, in Albany, NY. Michael guides our companies with Legal expertise. Michael Korniczky is the CEO of South Pacific Link, LLC, which owns the rights to the new Hawaiki Fiber Optic Cable spur located in American Samoa, which supports the telecommunications infrastructure in the South Pacific Islands. Michael is also the President of Dream Builders Agriculture Products, LLC an international manufacturer and supplier of breadfruit flour and other agriculture flour products. Before being appointed President and CEO of the two mentioned companies, Michael was a partner in one of the most prominent law firms in Hawaii. Prior to moving to Hawaii, Michael was the chief legal officer for several International food and beverage packaging manufacturing companies. Michael has been an integral part in the sale and purchase of numerous companies. Michael is excited to help local companies meet their financial and strategic growth objectives by applying transferable success business processes that have been applied in the companies he has worked with in the past and that have been successfully acquired. Mike Downes specializes in marketing of new products, web development, trade show promotions, and channel partner marketing. He also spends his time focusing on branding, and visual design, as well as the strategy and logistics side of industry trade shows. He was the director of communications at Airtight Networks, Marketing Director at Live Action, as well as serving as VP of Marketing Communications at Firetide. He is an expert in marketing and branding, as he has spent many years working on using it successfully. 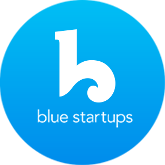 Bringing his expertise to Blue Startups adds a wide base of knowledge and skill in this area. Mike guides our companies with strategic and leadership expertise. After concluding my successful experience as Region President with DFS Group, I have relaunched my consultancy to offer paid and pro-bono services to individuals and organizations who can benefit from my experience, capabilities, and proven ability to drive results. I can be engaged for individual and team coaching, project management, retail consulting, and interim roles. I am an internationally experienced executive retail professional with a diverse career in luxury travel retail, department stores, and specialty food/gifts including DFS Group Limited, Harry & David, Gottschalk’s, and Macy’s. Senior level leadership roles have included Region President, Senior VP Organizational Change Management, Senior VP Learning & Development/Chief Learning Officer, Group VP Organizational Effectiveness, and Managing Director (all at DFS Group Limited); Senior VP/GM Stores (at Harry & David); and VP/Director of Stores (at Gottschalk’s). I am a positive, high-energy leader with demonstrated results in building organizations, teams and top talent. I lead by combining compelling vision and strategy with hands-on tactical execution, successfully driving individual and team engagement and performance. Subject matter expertise in leading change, US domestic and international store operations, P&L management, financial and strategic planning, talent development, organization design and development, internal communication, customer and employee engagement, project management, negotiation, stakeholder and board management, and public speaking. Mike guides our companies with Animation, User Interface Design, Branding, Web Design, Social Media, and Graphic Design expertise. Mike starting out with a poorly-timed fine arts degree. He began making stuff for the Internet in the late 90s. As SVP Creative Director for BrainPOP (an educational children’s product), Mike uses simplicity, clarity, and humor to drive engagement and learning. He is the board member of Art Explorium since December 2014. Born and raised in Hawaii, L.P. “Neenz” Faleafine is the CEO of Faleafine Enterprises, LLC the parent company of digital media marketing agency, Pono Media. Neenz calls herself a “Social Disruptor”, which is someone who works to change the status quo. Neenz is a nationally recognized expert in the application and use of social networks to gather intelligence, build online communities, and use those networks to achieve favorable end results. She began her career building communities as a property manager for her father’s company in some of Hawaii’s toughest neighborhoods. There she learned that the most important commodity of a neighborhood are the people. She focused on understanding and empathizing with residents to build relationships in order to partner with organizations to collaborate on solutions. It is through the strengthening of the people that neighborhoods thrived and communities formed. A Visionary, Neenz has built a portfolio of companies that specialize in leveraging technology to create change to build and strengthen communities. Nick Hodulik helps us guide our teams in their business designs, cross-functional management, and technology problems. Nick Hodulik is the founder & CEO of Polymath Inc and CTO of dot429. Nick previously worked at GoPro as a VP Software and services position. He is a thorough critical and strategic thinker with a good helping of intuition. He excel at implementing creative solutions to cross-functional management, business, design, and technology problems. Nick is passionate about building excellent teams and motivating and mentoring people to do their best work. In nearly twenty years of starting and running successful companies he has built extensive experience in many aspects of the business and technology world, including finance, HR, recruiting, and general business process, but perhaps most significantly in a very broad array of technology and design disciplines.